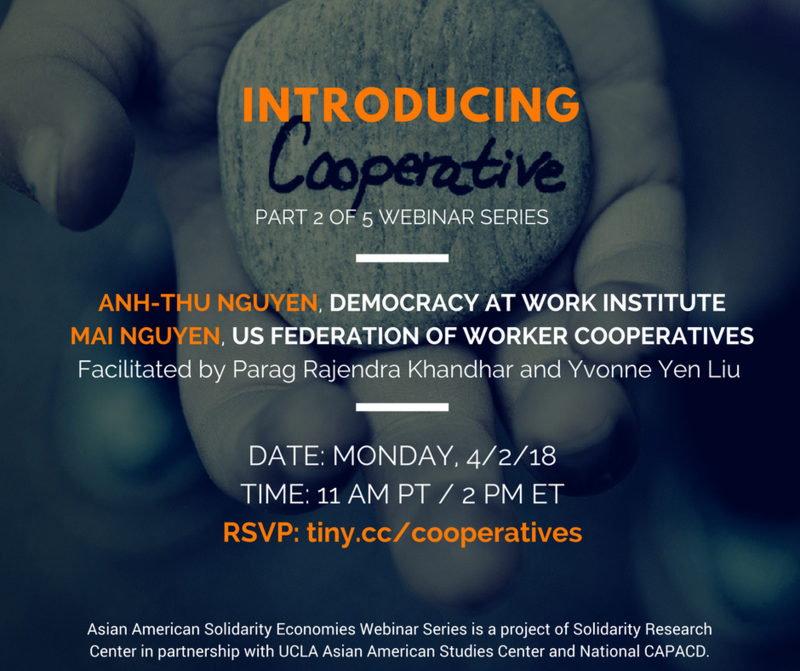 In our second of five webinars, our speakers will introduce cooperatives, their principles and examples, and the cooperative ecosystem. Asian American Solidarity Economies is a project of Solidarity Research Center in partnership with UCLA Asian American Studies Center and National CAPACD. See our website for more information about our webinar series.